For general enquiries related to travelling to Congress, please contact ATLAS Travel Agency at ranko.filipovic@atlas.hr. Please check Croatian National Tourist Board for more information here. In addition we require some kind of proof that you are a member of your national stuttering or professional association (an e-mail from the association). As soon as we receive above mentioned information, we will send you an Invitation letter as an e-mail attachment. 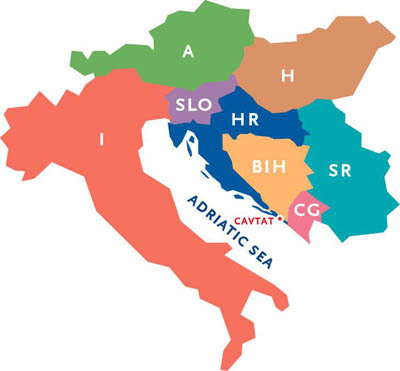 The Croatian Ministry of Foreign Affairs will send a circular letter to Croatian Embassies around the world to inform them you are applying to the Congress. We thank you in advance for your cooperation. Please send this information to: udruga-hinkofreund@zg.t-com.hr. The Invitation letter should be enclosed with your visa application. Those who have a Croatian Embassy in their country can get they visa issued there. If you are thinking of going on one of the trips, then you need to check at www.mvp.gov.ba/index_eng.htm for Bosnia and Herzegovina and check for updates at www.vlada.cg.yu/eng/mininos/ for Montenegro. If you need one, please apply in good time. The following exchange rates are official and updated daily. System of government: multi-party parliamentary republic. Foreign currency can be exchanged in banks, exchange offices, post offices, travel agencies, hotels, camps, marinas; cheques can be cashed in banks. Most shops, restaurants, and hotels accept American Express, Visa, Eurocard/Mastercard and Diners Club. "Those who seek paradise on earth", George Bernard Shaw once wrote, "should come to see Dubrovnik." Today, he might add that Dubrovnik is the place for all those who wish to renew themselves and their faith in human nature. Heavily damaged during the 1991 and 1992 shelling, Dubrovnik is today as beautiful as ever thanks to the dedication of its people as well as those from all over the world that have helped them bring their city back to life. The reason for such world-wide support is simple: Dubrovnik is not just a Croatian treasure but one of the world�s treasures, a fact that was officially recognized when the United Nations declared it a World Cultural Heritage site. The old city of Dubrovnik has remained basically unchanged since the thirteenth century. Its medieval ramparts encircle the city which pedestrians can enter through one of two gates � either way, they cross a stone bridge under the watchful gaze of the city�s patron Saint Blaise or Vlaho, to find themselves joining the evening promenade down the broad, stone-paved avenue known as Stradun. More than an avenue, it is the city�s main artery, lined with graceful stone palazzos where people live and work and water the red geraniums on their window sills. It is here that the people of Dubrovnik carry on a centuries-old evening promenade which you can either join or watch, a drink in hand, from one of the various cafes and restaurants along the way. From Stradun, side streets scamper up the hill toward the ramparts or wind south toward the port. In either direction, the city is alive with open air markets, artisans� shops and studios, Baroque churches and Gothic-Renaissance palaces, unexpected courtyards with fluted columns and splashing fountains, and covered loggias in which to sit and watch the world saunter by. In the summer, music fills the air as the internationally renowned Summer Festival reveals the magic of theatre, music and dance. In the Autumn and Spring, the squeals of schoolchildren travel up and down the stone alleys and the younger generation discovers the unparalleled freedom of a city where no cars are allowed and the stone-faced houses and orange-tiled roofs have remained unchanged for centuries. Cavtat is a small coastal resort town located between Dubrovnik and its international airport. Cavtat lies at the southern tip of the Republic of Croatia. It�s population is 2,000 people and the climate is mild Mediterranean with over 3,000 hours of sun. According to Jacques Cousteau the crystal clear sea is "the cleanest sea of the Mediterranean" with summer sea temperatures up to 25�C. 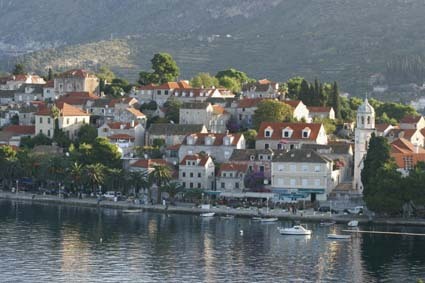 Cavtat is accessible by air (international airport), road and sea. Congress venue: CROATIA HOTEL, Cavtat, lies on a peninsula overlooking the Adriatic on one side and the picturesque old city of Cavtat on the other. 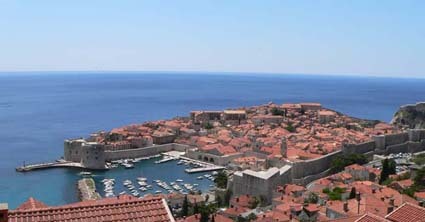 The world famous medieval walled city of Dubrovnik can be seen from the upper hotel terraces. All bedrooms are double-bedded and hotel facilities have the highest standard of 5 stars. The hotel also offers a choice of meeting rooms of various sizes and operates several restaurants, bars, leisure, sport, recreation and other tourist services including indoor and outdoor swimming pools and wellness centre.